We’d love your help. Let us know what’s wrong with this preview of Timeless by Crystal Collier. In the thirteenth century, the Holy Roman Church has ordered the Knights Templar to exterminat Time is the enemy. I've read the other books in the trilogy and was looking forward to this final adventure. This is not a stand-alone, since the story and characters build on the happenings of the other books. To stop the evil Soulless from existing, Alexia goes back 500 years in time, leaving the love of her life behind and knowing that she will not return. While searching/waiting for the moment to complete her mission, she finds herself leading her people as they attempt to survive eradication. When another wor I've read the other books in the trilogy and was looking forward to this final adventure. This is not a stand-alone, since the story and characters build on the happenings of the other books. To stop the evil Soulless from existing, Alexia goes back 500 years in time, leaving the love of her life behind and knowing that she will not return. While searching/waiting for the moment to complete her mission, she finds herself leading her people as they attempt to survive eradication. When another world is discovered, one which guarantees a life of safety and peace, it might be the solution they all have dreamed for--if they can find a way to get there, that is. true heroine. As the plot thickens, doubt creeps in but that's exactly what she needs to make her sympathetic. The emotions come across clearly, drawing in until every tear, smile and heart-breaking defeat is tangible. The romance is quite a clever twist. Of course, Alexia has one love in her life, but the author still finds a way to bring the tension back as if there were a first love all over again. Some moments became a bit repetitive and the reasoning behind secrets grew thin, but not enough to ruin the increasing tension. The hero is as wonderful as before, even when both don't see eye to eye. Emotional scenes are packed in between action packed battles and layers of intrigue. There's never a boring moment as one threat after the other rolls in, promising a demise. The evil side is easy to dislike and digs in like a knife. Every victory is coated with defeat, making this a story not to put down until the last page. Only toward the end did the situation grow a little fuzzy around the edges. But the last scene is as epic as it has to be, placing an end to a lovely trilogy. Being reacquainted with these characters and reemerging in this story was great fun. I was greeted by Crystal Collier's magical way with words that I admired while reading Moonless and Soulless. In the third and final installment of this trilogy, Alexia has gone back in time (500 years) to stop the Soulless from becoming. The Soulless were once Passionate, but now they are "undying monsters who live in the darkness" and drain the Passionate of their vitality, turning them into Soulless creatures. Being reacquainted with these characters and reemerging in this story was great fun. I was greeted by Crystal Collier's magical way with words that I admired while reading Moonless and Soulless. In the third and final installment of this trilogy, Alexia has gone back in time (500 years) to stop the Soulless from becoming. The Soulless were once Passionate, but now they are "undying monsters who live in the darkness" and drain the Passionate of their vitality, turning them into Soulless creatures. Alexia is also eight weeks away from giving birth, and it's said that her life will end once her daughter is born. She's running out of time, and the future hangs in the balance. If she can't stop the Soulless from becoming, so many will be lost. Alexia learns of a world where the Passionate live freely. This world could be the only safe place for the Passionate, if they can find it. Alexia and her comrades search for the gateway while battling men who keep hunting them down. In this story, Alexia is tougher than ever. It was nice seeing her grow. Crystal has a way of storytelling that makes me sad and heartbroken along with her characters. Or swoon and smile at lighter moments. Not many authors' writings have that impact on me. Timeless is a story of love...true and forbidden love. There's mystery with secrets finally coming to light (and they are mind-boggling), tension, action...everything. There were moments that frustrated me a tad, such as the characters repeating their inner desires or debating over a romantic conflict in nearly the same way every time. I also kept screaming in my head, "Tell him. Tell him!" But when this romantic conflict plays out fully, it's worth it. This story is everything you could ever want or expect with the Maiden of Time as the main character. A fantastic end to a great trilogy! I highly recommend this trilogy! Buckle up for another journey into the Maiden of Time Series! In this third installment of the trilogy, Alexia travels through time, battling the forces of the Knights Templar, all the while worrying about her child to-be and the balance between the forces of the Soulless and the Passionate. I found the plot lively and engaging. Some of the shorter chapters were a bit different from what I’m accustomed to in novels, but it gives the story more of a movie-scene feel, which may appeal to readers. Buckle up for another journey into the Maiden of Time Series! In this third installment of the trilogy, Alexia travels through time, battling the forces of the Knights Templar, all the while worrying about her child to-be and the balance between the forces of the Soulless and the Passionate. I found the plot lively and engaging. Some of the shorter chapters were a bit different from what I’m accustomed to in novels, but it gives the story more of a movie-scene feel, which may appeal to readers. It was a quick read for me, because I simply couldn’t put it down! All in all, 5 stars for Timeless! Looking forward to reading more from Crystal Collier in the future! If you are new to the Maiden of Time series—DO NOT read Timeless. Not because it isn’t fantastic in every sense—it is. Not because it has serious flaws in plot, pace, or characterization—it doesn’t. But because you deserve the whole experience. And you’re SO much luckier than me. I had to wait for each new volume to come out, wondering what was happening with my series friends. In my review of the first book of this series, Moonless, (and yes, I’m sorry, but you really should read Book 1 first), If you are new to the Maiden of Time series—DO NOT read Timeless. Not because it isn’t fantastic in every sense—it is. Not because it has serious flaws in plot, pace, or characterization—it doesn’t. But because you deserve the whole experience. And you’re SO much luckier than me. I had to wait for each new volume to come out, wondering what was happening with my series friends. In my review of the first book of this series, Moonless, (and yes, I’m sorry, but you really should read Book 1 first), I explained that until she turns sixteen in 1768, Alexia Dumont leads a life of aristocratic privilege and expectations. But she knows herself to be beyond unattractive, an ugly child whose parents have sheltered her from the world. She’s unprepared for the shock on her sixteenth birthday when her appearance changes to unearthly beauty. [quote:] Dirty faces twisted about her. With this final instalment in the Maiden of Time trilogy, events for Alexia come full circle in a way that, without wanting to give too much away, feels very satisfying. I love time travel stories, and the way this wraps up was very nicely done, although at no point does it feel like anything is guaranteed. I definitely feel this was the strongest book of the series, with a sense of urgency that hardly lets up throughout, fuelled by several motivating factors: Alexia's mission to prevent the bir With this final instalment in the Maiden of Time trilogy, events for Alexia come full circle in a way that, without wanting to give too much away, feels very satisfying. I love time travel stories, and the way this wraps up was very nicely done, although at no point does it feel like anything is guaranteed. I definitely feel this was the strongest book of the series, with a sense of urgency that hardly lets up throughout, fuelled by several motivating factors: Alexia's mission to prevent the birth of the Soulless; her need to ensure the safe birth of her own daughter without dying in the process; and her fight against bonding with Kiren, her husband in her own timeline but who has never met her in this earlier time (because this would mean his own demise when she dies). Yes, most of the book takes place 500 years before the action of the first two, something that I feel really breathes fresh life into proceedings. We get to see several characters before they have undergone key changes and learn how those changes transpired (Kiren's scar, Mae's blindness, Amos becoming Soulless). I love medieval history and rewriting the Crusades to include a war against the Passionate, and having them as pawns in a political game, felt very convincing. I felt there was a different tone to this book as well. While the first two instalments were fantasy/historical, I would classify this more as sci-fi/historical, with the time-based elements being much more heavily explored and a portal to another world playing a key part in the plot. In both cases, the historical stuff serves as a backdrop to the main action, but there's enough detail to make the settings seem real. Of course, at the heart of all this is a love story that spans centuries. Things are certainly awkward for the most part, as you know these two belong together, but they both have reasons to keep their distance - Alexia for the reasons mentioned above, Kiren because he believes she is already bonded to someone else - and I really felt the despair of both. This made the ending very uplifting, and it wasn't something that I saw coming. Having said all that, I had a few quibbles with the book, but they might not matter to anyone else. I sometimes had trouble following what was going on at every moment. That just shows the level of complexity and invention in the story, though. There were a lot of minor characters among the Passionate and some are only mentioned in passing, as if we already know them. It was slightly confusing and I would have appreciated just a bit more detail on these people. None of this took away from my enjoyment of this book, though. It was definitely the fastest-paced of the series, and the most intense. Collier really made me root for things to work out for the two main characters. I thoroughly recommend this series and I can't wait to see what the author does next! Alexia is a heroine unlike any other. She is a hybrid of a human man and a woman of a race called the Passionate. Passionate are nearly immortal creatures. Each has special powers: the ability to heal, the ability transport people, the ability to influence minds. Alexia controls time itself. She could turn the clock back a little to prevent a calamity. She could stop Note: This book was provide by the author in exchange for an honest review. THIS IS THE LAST BOOK IN THE SERIES. NOOOOOOOOOOOOOOOOOOOO! Other than that, this is one fabulous book, and it was well worth the wait. Author Crystal Collier has really grown as a writer and readers are in for a real treat with what she does with her characters and settings. Main character Alexia has turned into an arse-kicking, save-the-day machine -- and all while she's seven months pregnant. The battle scenes were amazingly vivid, and Collier really nailed the descriptions of time being slowed down. As with the first two books, the chemistry between Alexia and Kiren is still sizzling, but clean and of course, complicated. Readers will find that they are nearly as frustrated as the two characters and will be begging for the internal dialogue to be spoken out loud. Something that I found to be very satisfying is that in Timeless, the holes and the loose ends from Moonless and Soulless are resolved. There were several "ah-ha" moments where things clicked, which is one of the awesome aspects of having a book about time travel. I suppose you could read the books out of order and start with book three - Collier does an excellent job of bringing readers up-to-date - but where's the fun in that? Now that all three books are out, I'd suggest a binge reading, straight through. Happily, the book is very-well edited and with short chapters and plenty of plots and sub-plots, it is a smooth and enjoyable reading experience. I highly recommend this series to high schoolers and older. Timeless is the third book in the Maiden of Time Trilogy. Nineteen year old Alexia, uses her ability to control time to go back 500 years from the year 1768, where the first book of the series begins. Her goal is to stop the evil Soulless from ever having been created. As with the previous two books, the world building is well done. The flowery words vividly describe the setting, and the reader can feel the tension of the battle scenes and the emotion involved in all of the conflicts. While it is Timeless is the third book in the Maiden of Time Trilogy. Nineteen year old Alexia, uses her ability to control time to go back 500 years from the year 1768, where the first book of the series begins. Her goal is to stop the evil Soulless from ever having been created. While it is best read as part of the trilogy, readers will get a good idea of what has happened in the first three books. This is revealed in the third chapter. The romance between Alexia and Kiran still sizzles, even though it has been experienced before in a different time. The characters are all well-developed and believable. It is nice to see how Alexia has matured through the series. There is a surprise twist at the end, which was cleverly done. I can't even begin to explain how I feel about this book. It's been 14 years in the making, the seeds having been planted 9 years before that. Bu I can't even begin to explain how I feel about this book. It's been 14 years in the making, the seeds having been planted 9 years before that. But you never know. They may just come back to visit in future works. I wrote the ending to this book 3 times. From scratch. It had to be just right. So right. There was only ever one way it could end, and when I stopped trying to force the characters into closure, they filled in the blanks. Did they ever fill in the blanks! wow just wow. Normally the trilogy third book can feel rushed and forced to complete but this one is complete. Complete in plot, structure, world building, danger, surprises, twists and turns and character building. We get the characters we know and love such as Alexia and Kiren. We get the soulless but we also get new ones like Deamus. And he is a character. Mysterious but also unusual. Never really know to much abut him. There is time travel, love that spans through time and and a deeper under wow just wow. Normally the trilogy third book can feel rushed and forced to complete but this one is complete. Complete in plot, structure, world building, danger, surprises, twists and turns and character building. We get the characters we know and love such as Alexia and Kiren. We get the soulless but we also get new ones like Deamus. And he is a character. Mysterious but also unusual. Never really know to much abut him. 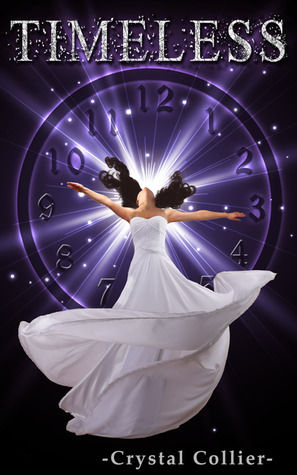 There is time travel, love that spans through time and and a deeper understanding of what it means to be the maiden of time. We see decisions need to be made not because it is what you want but because it was the right one for the greater good. I love how we get to see how Kiren became the Kiren we knew from the other two books in the series. We saw how the pain came about for him and how he got to feel isolated but also how he learned to redeem himself and why. We learn how the Soulless came to be and what caused them to be needed. We see love in many forms. We see sacrifice and challenge. The story has so much going on. There are stories within stories. We have the story of Alexia and her determination to stop the Soulless from being created while protecting the passionate. The story of Kiren and how he came to be the man we knew. The story of Kiren and Alexia and how it plays out. We have the story of Deamus. The story of the Black evil and how it came about. We have wonderful descriptive moments and we see the change come about in a way that doesn’t overwhelm you. We see the strength of Alexia, how lost and frustrated Kiren was at first and how he changed, we see the determination of evil and the hunting of the passionate. The characters are strong, passionate and determined. Their fates can change in the blink of an eye and we see how they change fate as well. So fascinating is the tale of trying to stop the Soulless and what is right. Of love and sacrifice. For me it was Kiren’s story that captivated me. We see him change so much and see all the pain he went through. Timeless is the third book of the Maiden of time Trilogy. In this book, Alexia finds herself 500 years in the past. Leaving behind her family and friends to try to stop the evil soulless from ever being created. The whole trilogy has excellent world building which hooks you in. Filled with plenty of action and adventure as well as some fantastic emotional scenes. I found it very exciting and hard to put down. I loved seeing how far Alexia has come since we first meet her. While at times I found K Timeless is the third book of the Maiden of time Trilogy. In this book, Alexia finds herself 500 years in the past. Leaving behind her family and friends to try to stop the evil soulless from ever being created. I loved seeing how far Alexia has come since we first meet her. While at times I found Kieran frustrating, in end we got to find out his reasons and it began making sense. It was also great seeing a different side to some of the characters we have met before. Overall a excellent ending to a fantastic trilogy. I received this book from the author in exchange for a review. It's so sad to see this series come to an end. I loved getting to know a younger, different Kiren. Seeing them fall in love all over again? It was intoxicating. This book had a little more of a thriller feel to it than I remember the last books having, which I loved. I think it needed that to truly let you in on the gravity of the situation that these characters are in. It kept me gripping the book right down to the last pages. It was bittersweet in many ways, but Whew! I'm still not sure what to think about that ending! And not in a bad way. Although I do have questions. It still has me thinking. I read this book without reading the previous two in the series. I was given the book as an early review from librarything. I thoroughly enjoyed reading this book and found it hard to get to a stopping point. I read halfway through without stopping. The characters are great and I was able to follow along without reading the previous two. Have you ever wondered what it would be like to travel back in time? I have, thinking how neat it would be to meet my ancestors and see how they lived. Or how about traveling to the future and see what the world would be like hundreds of years from now. Would you still be you in another time? Interesting to think about. If time travel, adventure, magic, and very interesting people intrigue you then take a look at Author Crystal Collier’s latest novel TIMELESS, Book Three in the Maiden of Time Tr Have you ever wondered what it would be like to travel back in time? I have, thinking how neat it would be to meet my ancestors and see how they lived. Or how about traveling to the future and see what the world would be like hundreds of years from now. Would you still be you in another time? Interesting to think about. If time travel, adventure, magic, and very interesting people intrigue you then take a look at Author Crystal Collier’s latest novel TIMELESS, Book Three in the Maiden of Time Trilogy. In TIMELESS, nineteen-year-old Alexia is now 500 years in the past, away from her husband, the father of her soon to be born baby. She is back in time to undo the mistakes of the past and of the future. Kiren, Alexia’s husband in the future, is also there in the past. That is not supposed to be and complicates matters. What follows is a gentle, confusing romance for the two of them as well as danger for them all, including the unborn baby. Crystal Collier has created a world of interesting characters dealing with life and death and mixed emotions. I love Alexia. She’s brave and smart and concerned for her child’s future if she should die in child birth. She has mixed emotions about Kiren in the future and in the present time. I can not imagine what it would be like to face your husband who did not know you because he had not met you until centuries later. And Kiren? I can see why she loves him. He is human with a slight temper; he’s also gentle and kind and in love with Alexia. I hoped all would work out for them, even in a different century. Yes, I’m a hopeless romantic. TIMELESS is a fascinating story that will keep you reading to see if Alexia succeeds in her quest and if she and Kiren live happily ever after. Oh, what about the baby? You’ll find out when you read the story. Enjoy. Too often, by the time an author gets to the third book in a trilogy, the plot becomes a bit redundant and less interesting; and the characters, been-there, done-that stale. Can't say that about THIS book! If anything, I think Ms. Collier's writing skills have gotten even better, and the story has become even more imaginative and interesting. This book puts less emphasis on the bone-chilling aspects of the Soulless, and more on the heart-warming, selfless, and romantic relationships between frie Too often, by the time an author gets to the third book in a trilogy, the plot becomes a bit redundant and less interesting; and the characters, been-there, done-that stale. Can't say that about THIS book! If anything, I think Ms. Collier's writing skills have gotten even better, and the story has become even more imaginative and interesting. This book puts less emphasis on the bone-chilling aspects of the Soulless, and more on the heart-warming, selfless, and romantic relationships between friends, allies, and of course, between our time maiden heroine Alexia and her immortal soulmate Kiren. Alexia leaves her beloved husband Kiren to travel 500 years back in time, in a last-ditch effort to of prevent the Soulless from coming into existence. There, she faces threats from noblemen who seek to capture and enslave the Passionate, from knights who wish to see them dead, and from a terrifying shadowy being that thrives on hatred, chaos, and death. Oh, and she's also pregnant. Very pregnant. And then she runs into Kirin... who technically hasn't met her yet... and has no idea that the baby she carries... is his. See? Lots of interesting twists and turns. Lots of thought-provoking concepts about time. Lots of reasons to read this series. I've been waiting for this book, and I wasn't at all disappointed. This story was a satisfying end to a great trilogy. I give Crystal high marks for creating a society of beings inside our world that are both unique and believable. I think it's this aspect of the story that I like most. Each character has powers and limits- character strengths and flaws. Even the heroine is not perfect. She suffers from indecision about the relationship with her true love (which strikes the interesting question- I've been waiting for this book, and I wasn't at all disappointed. This story was a satisfying end to a great trilogy. I give Crystal high marks for creating a society of beings inside our world that are both unique and believable. I think it's this aspect of the story that I like most. Each character has powers and limits- character strengths and flaws. Even the heroine is not perfect. She suffers from indecision about the relationship with her true love (which strikes the interesting question- can you cheat on your mate with his past self?) and struggles with all she can and cannot reveal to the people she fighting alongside 500 years in her past. As the Maiden of Time, Alexia is learning just how frustrating the time continuum can be as she realizes our universe isn't just functioning on randomness and chaos. She will come to terms with sacrifice- weighing the greater good against her own heart's wishes.